People who fill out and submit a Yankee Candle Company application are looking to join a company that strives to become a part of every community where they have a store. Links to apply for jobs at Yankee Candle Company are at the bottom of the page. During Christmastime of 1969, Mike Kittredge was sixteen and broke in South Hadley, Massachusetts, unable to buy his mother a present. So he improvised, and created a candle out of melted crayons. A neighbor saw the candle and convinced him to sell it to her, allowing him to more candles and create the Yankee Candle Company. Throughout the years, the company expanded, but Kittredge chose to sell the company in 1998 to Forstmann Little. In 2007, they were bought by Madison Dearborn Partners. With the emergence of an online market, Yankee Candle Company launched a consumer direct website that offered all their products to customers without having to go into a store. In 2013, the Jarden Corporation bought Yankee Candle Company. Besides their online store, the Yankee Candle Company has over five hundred and fifty locations scattered across the world. A majority of their stores are in local malls and have a slightly homey feel to make customers feel welcome and invited. They have a variety of scents in all their candles with their biggest seller being their candles in jars that come in a number of sizes. 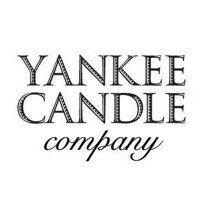 Most Yankee Candle Company jobs at the corporate level are based out of South Deerfield, Massachusetts and are usually geared towards making sure that everything is running smoothly in the corporation, stores, and factories. Some corporate positions may require travelling to local stores or living nearby to watch out for the district you’re assigned to. Yankee Candle Company careers at the local level will generally having you working in stores or factories. In the stores, you could hold a position in the United States, Puerto Rico, or fifty other countries across the world. Manufacturing and distribution jobs are all centered out of Whately, Massachusetts and produce everything that the company sells. How old do you have to be to work at Yankee Candle Company? Age requirements vary by position. As you browse Yankee Candle Company jobs online, make sure to read all the position needs carefully because jobs need various degrees, experiences, or certifications before you take on the job. People with Yankee Candle Company jobs get several benefits, including medical/dental/life insurance, a 401K, tuition reimbursement, product discounts, and various discount plans for a variety of products and services. Select positions also get access to paid sick and vacation time, paid holidays, and an on-site dry cleaning service. Assistant Manager – You’ll assist store management in helping your location meet and surpass all sales goals by aiding in the training and hiring of new staff, making sure customers are getting excellent customer service, and maintaining a clean and organized store, among other duties. Compensation is around $30,000 a year. Machine Operator – Being able to use and do light repair work on automated equipment is a big part of this position. You’ll maintain a strict schedule to make sure that you’re meeting the quality and production number standards that is expected. Compensation is around $20,000 a year. Stockhandler – You will work with a variety of manual and automated machines to move raw materials to their destination around the factory. Knowing how to use scanning equipment is a must as you’ll be tracking shipments to make sure that they are going to the proper location. Compensation is around $30,000 a year. Sales Associate – As customers come into the store, you’ll make sure that they have all the assistance that they need. If they have questions, you’ll answer them to the best of your ability before checking them out. Compensation is around $20,000 a year. Why do you want to work for the Yankee Candle Company? This is an extremely common interview question, so you should be prepared for it. Talk about what drew you to the company, whether it was the culture or benefits, and why it’s your first choice in places to work. What experience do you have? If you have any relevant experience, highlight it. If you don’t, talk about what you can bring to the position and offer the company, making sure to use plenty of examples to back up and support any claims that you may make. Where do you see yourself in the next few years? This questions is geared towards full and part time applicants as the interviewer wants to know if you see yourself with the company. Talk about how you’re willing to take on extra challenges and responsibilities in order to move up in the company. Several positions may require you to stand for long periods of time or carry heavy objects, so you may be asked: Is there anything that could keep you from doing your job? The company will work with you to find a position that you can do, so be honest and talk about anything that could stop you from doing your job to the best of your ability. If you’ve applied for a store position, you may be asked this question in the form of a hypothetical situation: How would you take care of an upset customer? Walk your interviewer through the steps you would take, making sure to be practical and realistic as you talk about how you’d turn the customer’s experience around. How to apply for Yankee Candle Company online: start by searching for the position that you want in the area that you’re located in. Once you’ve found it, read the job description and requirements closely before filling out your Yankee Candle Company application. There is no printable application for Yankee Candle Company available on their website. Before attending your interview, do research on the Yankee Candle Company and the industry in order to create a list of questions that you can ask. This may seem excessive for an entry level position, but it will place you above the other candidates as it shows that you think ahead and are prepared. Your interview will take place in a semi-formal setting, so dress in business casual. If you’ve applied for a managerial or supervisory position, a suit would be appropriate. Have a positive and friendly demeanor for your interview because it will give a good impression and show that you’re ready to work with the existing team. Show gratitude at the opportunity to interview with the Yankee Candle Company. After your interview, inquire about the best way to check on your hiring status as only some candidates will learn if they got the job during their interview because the Yankee Candle Company will want to screen all applicants before making a final decision on who they hire. Dollar Tree: See our guide for careers at Dollar Tree. Buybuy Baby: For employment at Buybuy Baby visit the application page. Carter’s: For employment at Carter’s visit the application page. Fossil: See our guide for careers at Fossil. 1-800-Flowers: See our guide for careers at 1-800-Flowers.